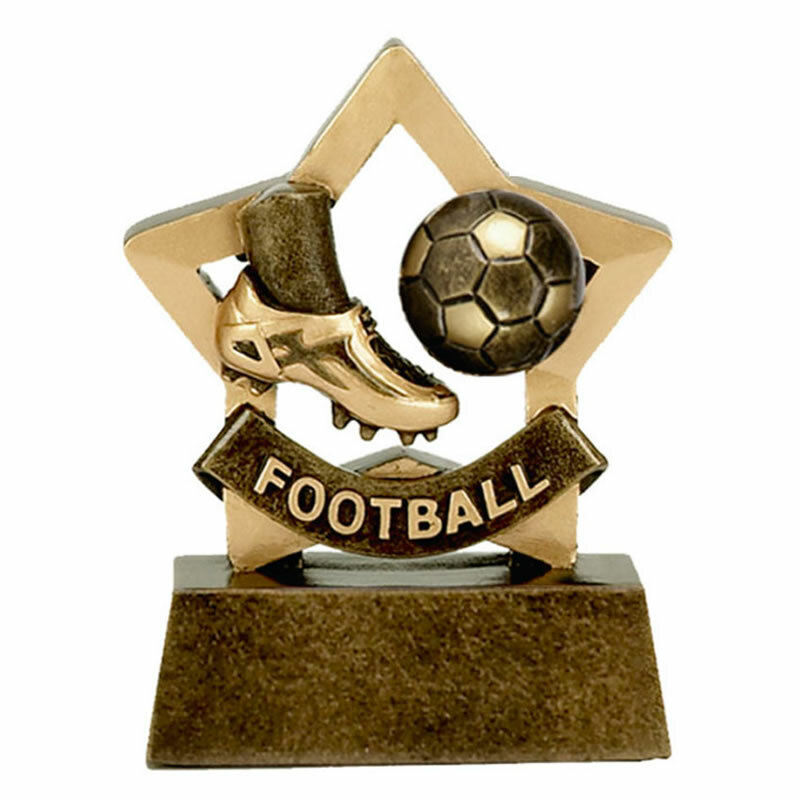 Affordable football mini trophy, 3.25in (8cm) high, crafted in resin and suitable for engraving for a wide range of footballing achievements and recipients. Finished in bronze and gold colour, these awards feature a football boot and ball motif set against a star shaped backdrop and mounted on a base with engraving plate. They are offered with engraving options.